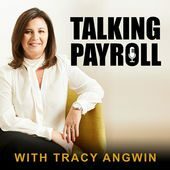 Recently I joined the legend of the Australian Payroll industry Tracy Angwin on her podcast “Talking Payroll”. Matt Paff (BBus GAICD) is founder of Value Adders and a veteran of the Accounting, Payroll and broader B2B Technology industry. Matt’s resume includes time as GM at Attaché Software, one of the world’s longest surviving accounting software companies, as well as starting, growing and exiting a successful accounting technology & business process consulting firm. Matt has held advisory board positions with accounting firm Imagine Accounting as well as Governance technology start-up GovernRight. In his spare time, Matt also runs a RegTech start-up vSure. Matt is passionate about a practical, plain English perspective. He is known for being a straight-shooter and appreciated for his forthright, researched opinions. This blog is focused on the accounting and payroll technology market, with an Australian and New Zealand perspective. It covers market, company, conference and product analysis, with a particular interest in the fast growing Cloud Accounting software industry. 2018, how’d my predictions fare? Latest accounting, payroll & HR technology news delivered to your inbox! © 2019 Value Adders Pty Ltd. All rights reserved.